With its strong international network of artists and professionals, the Élolonguè company grounds its core values in urban culture by developing 3 different projects which meet the aims of the association and addresses participants ranging from childhood to adulthood. 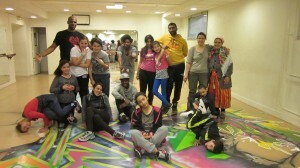 In partnership with the town of Saint Denis since 2000, the Élolonguè company aims to introduce young people aged 3 to 15 to Hip Hop dance. No more babysitting headache! Parents can now attend fitness classes at the same time as their kids attend dance classes. hroughout the school holidays, we have put together inter- neighbourhood, interregional and intercultural workshops for teenagers. 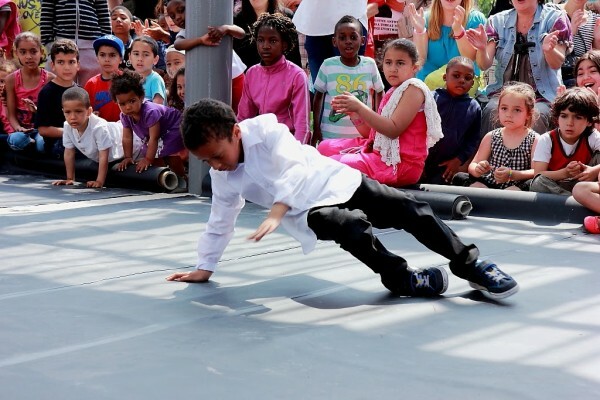 The Élolonguè company curates dance masterclasses and urban art-inspired creative workshops. Therefore, teenagers play an active part in their own project. Throughout the school holidays, we have put together inter- neighbourhood, interregional and intercultural workshops for teenagers.